Is that a Kingfisher? Yes… yes it is! So.. I know, it is not technically the best photo. I cropped this to around 300 pixels at the long length. But that’s not really the point. 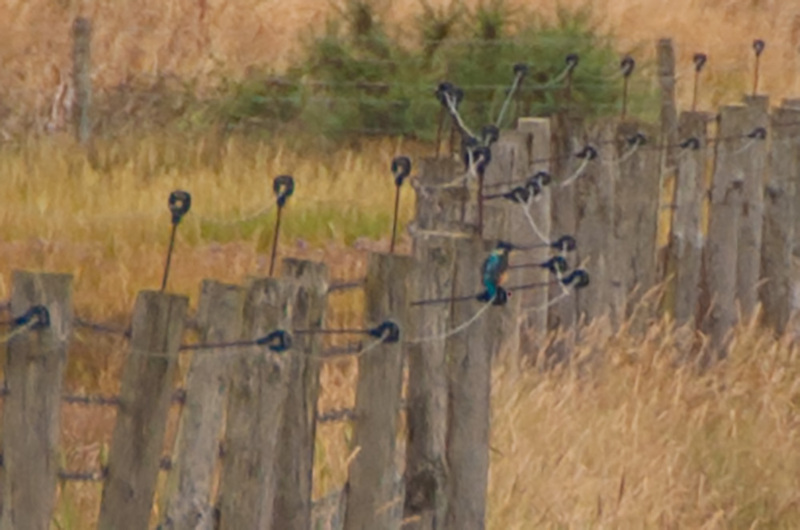 It’s a Kingfisher!!! I’ve never seen one in the wild, never mind got one on “sensor. I had my Nikon 200mm pointing in the general direction of where it landed, and this is it. Of course, now I have to go out and get one that you can actually see properly… Now where can I lay my hands on a 500mm F4?